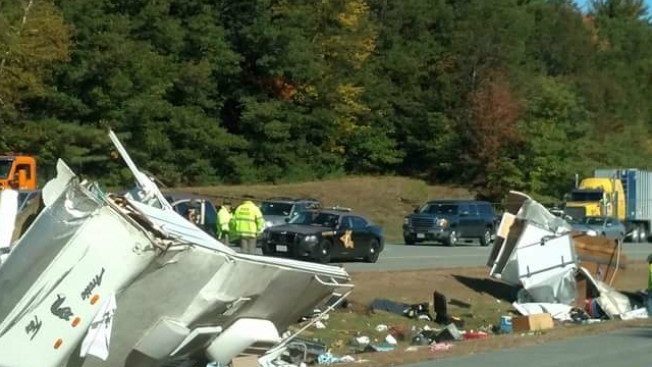 1 Dead, 1 Injured in Camper Crash on I-95 in N.H.
One person is dead after a truck hauling a camper crashed on Interstate 95 in New Hampshire on Thursday morning. One person is dead after a single-vehicle accident involving a pickup truck hauling a camper on Interstate 95 in New Hampshire on Thursday morning. The accident occurred around 9:30 a.m. on I-95 in Hampton Falls. 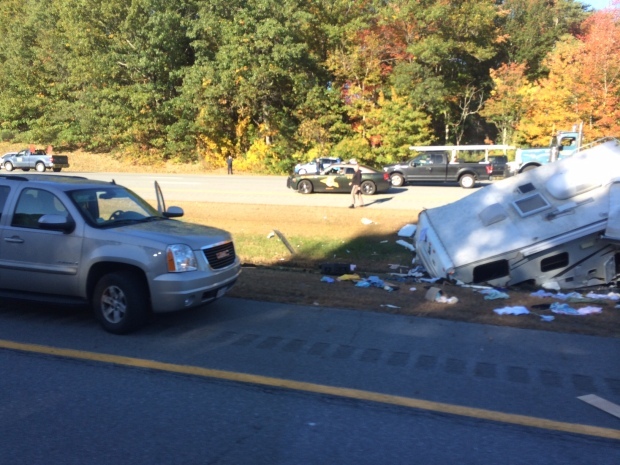 A pickup truck hauling a camper crashed into the median between mile markers 2 and 3, according to Lt. Jerome Maslan of New Hampshire State Police. Preliminary investigation revealed that the 2008 GMC Sierra pickkup truck driven by Daniel K. Alexander, 71, of Farmingdale, Maine, was traveling south on I-95 when it went off the highway and crashed. It isn't known what caused the vehicle to leave the road. Alexander and a passenger, Sandra Alexandra, 69, also of Farmingdale, were taken to Portsmouth Regional Hospital. Alexander was pronounced dead at the hospital, and Alexandra was treated for non-life-threatening injuries. Two lanes of I-95 north were closed for about 35 minutes, and one lane of I-95 south was closed for about three hours while state police troopers conducted their investigation and the vehicle was removed.